At Frank's Express we love food (we're Italians). All of our products are hand-prepared using sustainable ingredients, ensuring everything looks, smells and tastes great. Now that's dedication! Only by creating everything ourselves do we know the products that leave us will be of the finest quality each and every time. We carefully craft our recipes to reduce hidden sugars and salts whilst maximising flavour. As a family-run business we represent wholesome values, and wholesome food. Contact us to find out more. 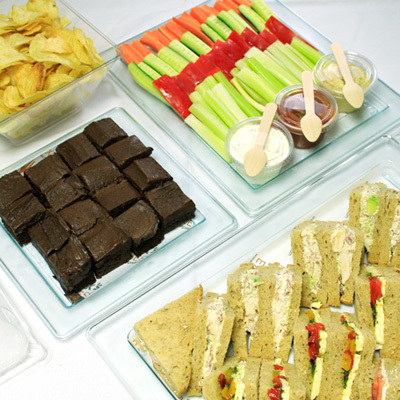 "Our food is served on high quality lidded plastic platters ready to serve. Simply remove the lids when ready to eat and enjoy our delicious food" (above is an accurate representation of how our food will be delivered).